• The rules of the game. • Types of protective equipment. 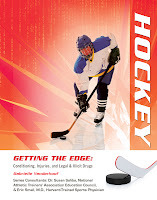 • Exercises and conditioning that help prevent injuries. • The importance of good nutrition. • The dangers of performance-enhancing drugs. The book is intended for young adult readers. The book is specifically being marketed to schools and public libraries in Canada and the US, although the book can be purchased by the public at Mason Crest's website. This is a terrific read. My son loved the book, which is always a challenge to keep him reading, and I even read it after him. 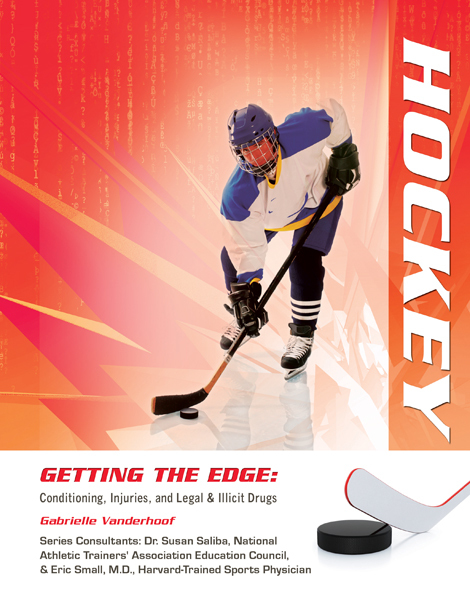 We have always been big on hockey in our family, but this book really captured some seldom taught and important areas of the game and preparing for it. There are a lot of other books in this series from the publisher and we also recently bought titles on other sports.